The advancement of orthodontic procedures has a come a long way. Today, there is always a way to meet each individual’s personal smile needs in a relaxing, stress-free, and pain-free way. In-Ovation technology is no different. With its free-sliding system, many patients report positive experiences. Let’s take a look at how the In-Ovation treatment process takes place. In-Ovation helps your teeth shift gently over time without added pressure. The process has been designed for you to spend less time in our Markham, ON office at long appointments having braces checkups, while still achieving a beautiful smile. Our patients share that there are many advantages to selecting In-Ovation braces. Your visit with us will be shorter, and the overall time from when you begin the treatment process to finishing with a new smile is much shorter than traditional braces. 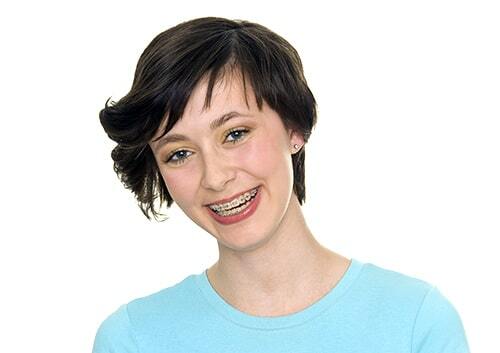 Patients also tell us that far less irritation occurs when selecting these braces. In-Ovation braces are referred to as self-ligating braces. We find that the free-slide technology that makes them unique also results with improved facial proportion and appearance. Another noteworthy characteristic is the small size of these braces. This means that patients can perform efficient teeth cleaning, leading to less plaque buildup. Many of our patients are surprised to hear that braces are not simply for children. We assure our patients that there is no better time than now to achieve your best dental health. Because the In-Ovation system requires far less time and maintenance from start to finish, they are very ideal for busy adults. At your visit, Dr. Rajasekaran will discuss which In-Ovation style best reflects your needs depending on how much overall movement will be necessary to achieve long-term results. Trying to decide if the In-Ovation dental procedure is right for you? Our highly trained team invites you to call us for an appointment. We look forward to seeing you at a visit soon.